Artist Lance Balderson is a treasure in our area — and beyond. 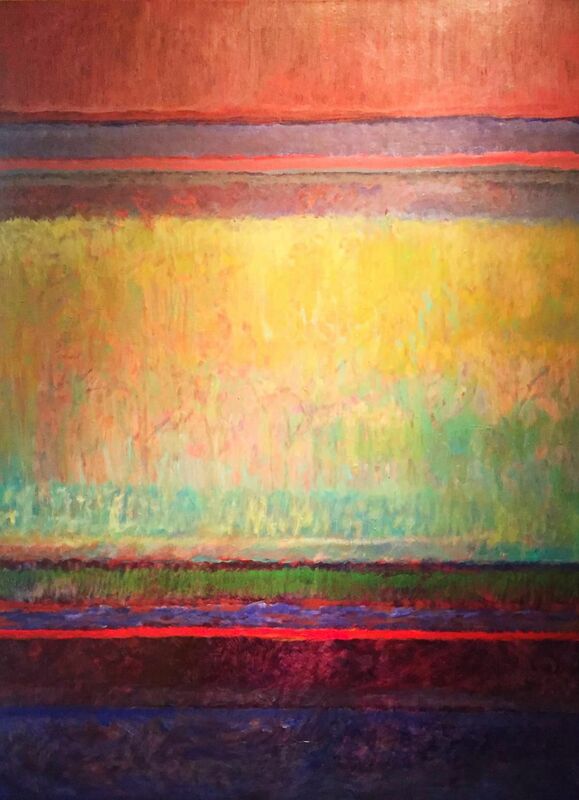 His artistic talent for layering color over color with overlapping shapes and forms caught the eye of Philadelphia philanthropist, the late Gerry Lenfest, early on in his career. Lenfest became a big collector, eventually donating one of Balderson’s works to the esteemed Philadelphia Museum of Art. Nashville North Studios has the honor of hosting a solo exhibit for Balderson that opens with a reception 6 to 8 p.m. Friday, Nov. 23, going through Dec. 24. Coinciding with Balderson’s exhibit is a group show “Structure & Form,” which is comprised of works in various mediums inspired by his art. Balderson will also be the guest at NNS’s monthly “Art Talk” from 1 to 3 p.m. Wednesday, Dec. 12, when he will give the audience an inside look at his journey in the arts. Reservations are a must as space is limited. Nashville North Studios is located in Suite 8, Linwood Greene, 210 New Road, Linwood. Call 609-504-5044 or go to NashveillNorthStudios.com for more.